After graduating from the Royal Veterinary College, Sam joined the team at Clifton Villa in 2003. He was drawn to Cornwall by his passion for water sports and is a keen kitesurfer and sailor. In addition to his role in running the practice, he has an interest in surgery and runs the orthopaedic service for the practice. Sam’s wife is also a vet and they have three children, a Lurcher called Myrtle and two cats, Sophie and Tim. Paul qualified as a Veterinary Surgeon in 1989 from Bristol University and has always worked at Clifton Villa. He has spent the majority of his career as a mixed animal vet but now happily works as a small animal vet at all sites. 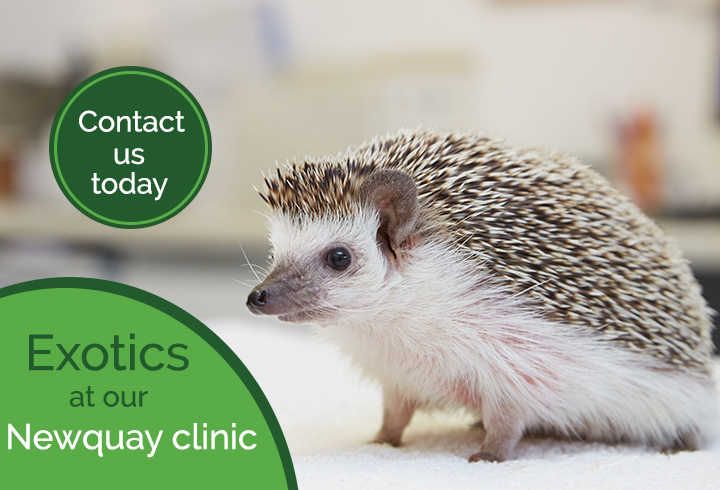 Paul has an interest in exotics and is the main veterinary surgeon for Newquay zoo. Clementine graduated from the University of Nottingham in 2014 after first qualifying and working as a veterinary nurse. She worked at a small animal veterinary hospital for three years, and then, after a period of maternity leave, joined Clifton Villa Vets in 2018. Clementine enjoys all aspects of veterinary work and hopes to undertake further study in the future. Outside of work she enjoys sailing with her husband and daughter, Margot and exploring the Cornish outdoors. Siri graduated from Ghent University, Belgium in July 2018. She is interested in various veterinary services but has an extra motivation for orthopaedics and surgery. Siri moved to Cornwall for the beautiful coast and surf. Alex graduated from the Royal Veterinary College, London in July 2018 and joined the Clifton Villa Team. She likes all animals and has an interest in exotics and snakes. Alex owns her own pet snakes. Having moved to Cornwall Alex enjoys surfing on the beautiful Cornish coast. Alison joined us in May 2017. Having worked for CVS in the South East for three years she decided to move to Cornwall. Alison has a keen interest in exotics and is currently working towards becoming a RCVS Advanced Practitioner in Zoological Medicine. She also loves her furry friends and enjoys walks with her crossbreed Twiglet. Ruth Wickens qualified as a vet in 2002 from Bristol University. She worked in the Midlands for 13 years, initially in a mixed practice and then at a small animal hospital. In 2009 Ruth obtained a post graduate qualification in Small Animal Medicine and am now an RCVS Advanced Practitioner in Small Animal Medicine.